Durban is a remarkably cosmopolitan city and a popular holiday venue due to its beaches and warm ocean. It boasts the largest population of people of Indian descent outside of India and is situated in KwaZulu-Natal, the home of the Zulu. 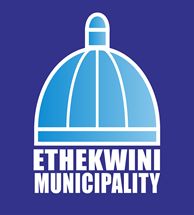 The municipality is called eThekwini, from the Zulu word for bay/lagoon. It has the busiest container terminal in Africa, a superb botanical garden, and diverse cuisine. Apartheid planning saw massive residential development to the south of the city in an area of heavy industry. The South Durban Community Environmental Alliance (SDCEA) (www.sdcea.co.za/) and groundWork (www.groundwork.org.za/) are two well-known activist groups that have their origins in this area. SAA is committed to providing delegates attending the International Association of Impact Assessment 2018 a discount offering ranging from 5 – 18% per point of sale off its lowest published airfares on the services of SAA, subject to the relevant class availability for international and regional market related airfares. This excludes all SAA code share flights as well as the domestic routes serviced by either SA Express or South African Airlink or Mango. These air fares will only be applicable for travel 14 days prior and/or after the official event dates. South African Airways looks forward to welcoming all International Association of Impact Assessment 2018 delegates on board our flights and to offer our warm South African hospitality! To take advantage of this offer, log on, book your reservation, and secure your SAA ticket. Simply enter the conference Promo Code IAIA2018 to receive the discounted conference fares. Note: To see your discounted rate, be sure to include the promo code in your search requirements. Prices will not show the discount until your flight is chosen and you click "continue." The price will then update your SAA discount. Durban is a subtropical city with warm, humid summers (Jan-March) and mild, sunny winters (June-August) with an average max temperature of 28°C/82°F and 18°C/64°F, respectively. Sea temperatures will remain high and there are great beaches within easy access of the hotels. The KZN coastline is well known for its surfing, which means that some tourists experience the sea as rough. Simply ensure that you swim where there are lifeguards, and stay in demarcated areas. Shark nets also protect the beaches and prevent tourists from scaring the sharks. English and isiZulu are the main languages spoken in Durban. It is highly unlikely that you will encounter a South African who does not speak English. Most black South Africans speak at least three and often more languages. All foreign visitors to South Africa must have a valid passport. To find out if you will need a visitor visa and for more information on the visa application process, please visit the Department of Home Affairs—Republic of South Africa website (http://www.dha.gov.za/index.php/applying-for-sa-visa) to search for the requirements for your country. Be sure to make your visa applications early, as the process can take weeks to months in some cases. If you need a visa invitation letter, please contact info@iaia.org no later than 20 April 2018. Requests received after this date will not be accommodated. Registration and payment must be received by IAIAHQ before an invitation letter will be provided. Please note that IAIA has no influence in visa application procedures or the approval/denial of individual applications by embassies. All countries have different requirements; it is the sole responsibility of each delegate to inquire on the proper procedure from their country’s embassy in an effort to procure his/her visitor visa. Taxi: Taxis are safe and relatively inexpensive. Metered taxis operate in all key zones. Registered metered taxis are clearly marked with a colored sticker. The cost is approximately R350 to Durban. Airport bus: Buses depart approximately every 45 minutes from outside King Shaka International Airport–International Arrivals at Public Transport Parking. The cost is R80 per person to Durban. Tickets are available on the bus. Hours of operation: 07:30 to 22:30. It is also highly likely that your hotel will have a shuttle service between the airport and the hotel. Uber: Uber is also available, but there have been some disputes between metered taxi operators and Uber. If you hail an Uber, the driver will advise you whether or not it is safe to fetch you from the airport. Uber can be used to travel in the city with little risk of incident. Please make your booking directly with respective transport company. If you interested, these companies also offer a number of day and overnight tours in and around Durban. Please mention the IAIA18 Conference when you contact them as there are specials on offer. The recommended hotels are within walking distance of the ICC or shuttle services will be arranged. Renting a car and driving yourself is an easy way to get around. You drive on the left-hand side of the road. There are a number of car hire companies operating in Durban, with pick-up and drop-off zones at the airport and in most suburbs. Most shops are open between 09:00 and 17:00, but in many malls these hours may extend to 18:00 and even 19:00. The business hours include Saturdays with shops closing at around lunchtime on Sundays. Banks are closed on Sundays and have more restrictive business hours but ATMs are 24 hours. South Africa’s currency is the Rand, and it’s worth peanuts, so bring your Euros and your dollars and have a blast. ATMs are ubiquitous and will accept most international bank and credit cards. Credit cards may be used at most hotels, restaurants, care hire companies etc. American Express and Diners Club are sometimes not accepted by shops, but this is seldom an issue at hotels. Major mobile service providers in South Africa are Vodacom, MTN, Cell C, and 8ta. Local SIM cards can be purchased at the airport on arrival, but there are also many stores in close proximity to the hotels and the ICC where you will be able to source a local SIM card. Generally, tipping is done in restaurants, with the fee at between 10 and 15% depending on the quality of the service received. Wait staff are generally not paid especially well by the restaurants and rely on tips to make their income worthwhile. Check your bill before tipping because some restaurants do include a “service fee” of 10% on the bill. Tipping taxi drivers is not common practice; for other services, such as porters and bellhops, it is at the discretion of the customer, but please remember that a little tip can go a long way for these employees. The South African electricity supply is 220/230 volts AC 50 HZ. Power sockets: type C/D/M/N. The simplest is to ensure that you have a European two-pin plug and purchase an inexpensive adapter while in South Africa. Adaptors are also available for US and Canadian plugs. Smoke Free Places: All public places including bars, pubs, taverns, night clubs, casinos, restaurants, hotels, guesthouses, bed and breakfasts, game lodges, and airports. Currently set at 14%, Value Added Tax (VAT) is included in the price of most goods and services. Foreign visitors are not exempt from paying VAT on purchased goods. They may, however, claim back VAT paid on items taken out of the country when the total valued exceeds R250. The refund may be lodged with the VAT Refund Administrator’s offices, which are situated at Johannesburg and Cape Town International Airports, various land border posts, and designated commercial harbors. Please note that the refund claim should only be lodged with the South African Customs Authorities at points of departure where the VAT Refund Administrator is not present. Who Can Claim? Foreign passport holders who travel to the South Africa on a non-resident travel document and export moveable goods from the Republic of South Africa. IAIA encourages conference delegates to travel green. See Green Your Travel at http://conferences.iaia.org/2018/green-your-travel.php for some suggestions to help you get started and for ways IAIA mitigates the impacts of our conferences.